I have a newfound love and they’ve been hiding in the produce section of the grocery store all along. I’m almost embarrassed to admit it but I’ve never in my life peeled a blood orange or had the pleasure of tasting it until recently, like a couple days ago. I know, it’s quite sad, especially since I’ve tried pretty much everything under the sun and have found very few foods that I don’t like. I was in the grocery store for a few regular oranges to add to this salad that I’m posting today. All of a sudden my eyes were opened to a fruit that I have overlooked a thousand times. I almost grabbed them by accident because there’s really no difference between the skin of a regular orange and this “newbie” that I just came across. There was no good reason to not include it, so I grabbed several of them along with arugula, a red onion, some kalamata olives out of the bin, and of course Feta cheese. And wow! When I peeled this little-hidden gem and sliced it, all the colors of a gorgeous sunset were displayed on my countertop. When I added it to this Arugula Salad with Feta and Kalamata Olives it made all the other colors pop. I would venture to say this will become top of my list of “go-to” salads. At least for the moment anyway. 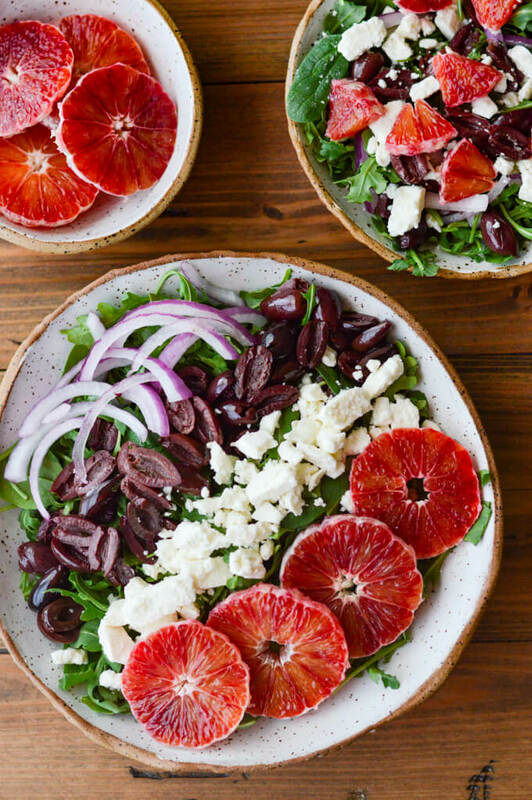 The array of colors from the orange, arugula, feta cheese, red onions and kalamata olives, transformed this salad into a stunning presentation on my table. 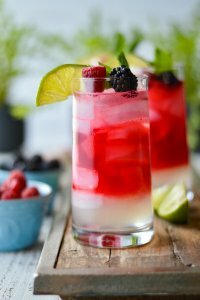 I love recipes that are complex with flavors but are simple. And this one definitely delivers on both. Between the sweet oranges, the tangy feta and the briny olives, your taste buds will go wild with the intensity. The arugula adds a pungent flavor with a peppery overtone. 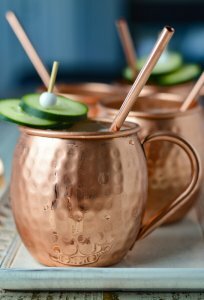 It all mingles wonderfully. 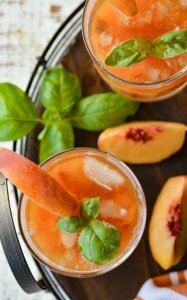 I toss it with a lemon vinaigrette which can be added to a variety of salads because it’s so versatile. It is one of those salad dressings that I always have handy in my fridge. Note to self – As I am getting back to being somewhat healthy on this ” Healthier Side of Life” series, I need to incorporate lots of colorful veggies and fruits into my meals again. They burst with nutrients and vitamins that add to my overall well-being and as a bonus, they taste GREAT! Now, if you will excuse me, I think I’m gonna go dive into this yummy salad and let the flavors explode in my mouth. 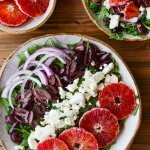 This fresh and colorful salad has a depth of flavor with the combination of arugula, blood oranges, kalamata olives and feta.The lemon vinaigrette brings it all together. Wisk together the fruit juices, zest, olive oil and garlic in a small jar. 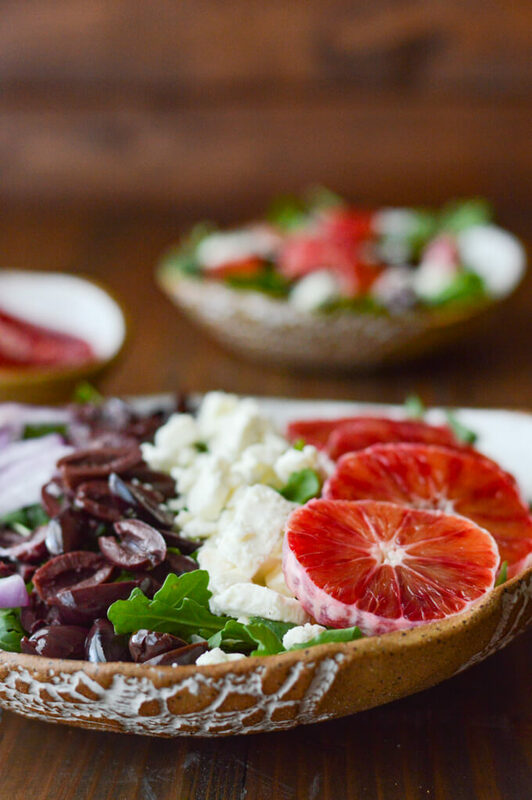 Combine the greens, red onion, kalamata olives, and feta cheese in a salad bowl. 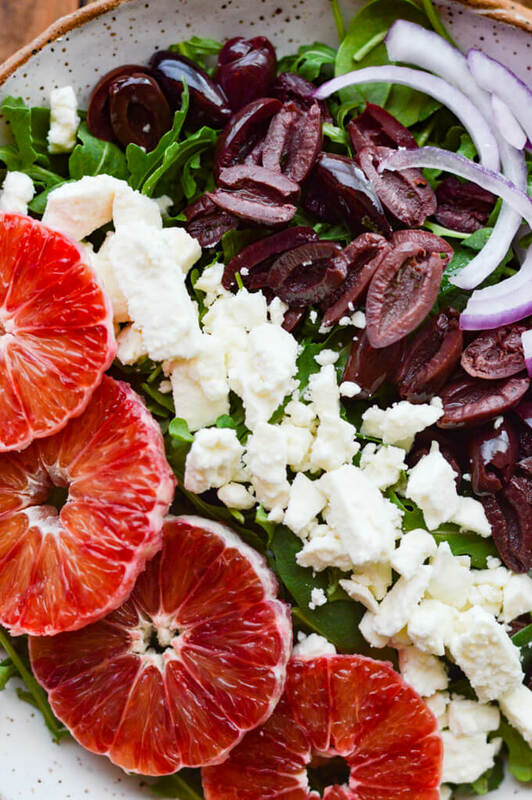 Toss and lay the sliced blood oranges on the salad. When ready to serve, drizzle the vinaigrette on top. 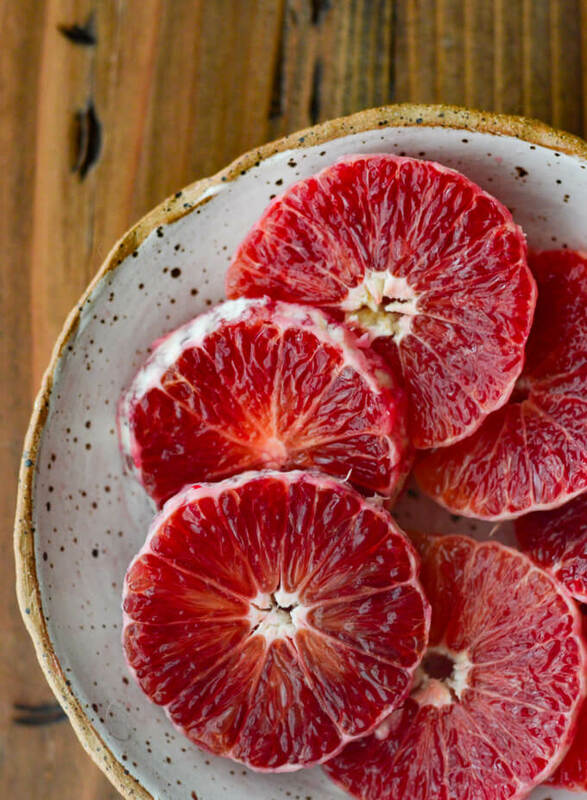 Even though this recipe calls for blood oranges, you could easily substitute navel oranges. These colors look fantastic in your photos. Beautiful. Love this salad.